The Bushnell Elite Tactical CQTS is a great option for use on your rifle platform where speed is paramount. 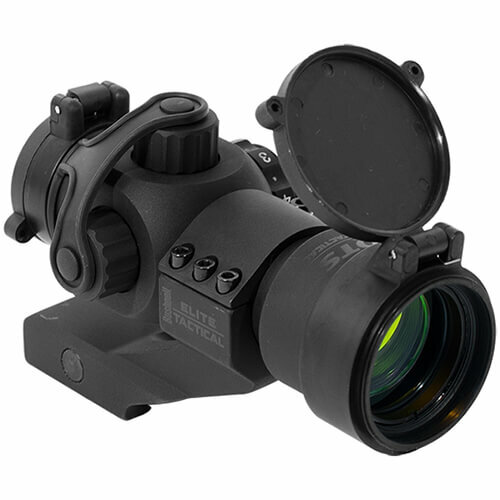 This Reflex sight will allow for quick target acquisition with a 3 MOA dot. With its 1x magnification you will be able to shoot and scan with both eyes open providing the best possible field of view. The CQTS comes with flip-up caps, cantilever mount and a CR2032 battery. It also features 8 brightness settings to lend itself a viable option in a variety of different circumstances.